Get ready, winter is on it’s way. While the temperatures are just starting to cool down and the air is getting crisp, now is the time to take advantage of checking some key elements of your home to better prepare for the colder days ahead. Here’s a short checklist to help you get started. Change your linens and move your mattress. Strip and vacuum your mattress and machine wash all of your bed linens, including your comforters, duvets, bed skirts and pillows. Then, turn your mattress front-to-back and end-to-end – flipping your mattress prolongs its life by evenly distributing the wear. For more tips, read:Maintain Your Mattress. Inspect your windows. Start by cleaning your windowpanes, then your drapes or blinds, and finish with the window tracks (a vacuum with a hose attachment works best for this last job). If your windows are older, you likely have weather stripping to help seal your windows and keep cold drafts and moisture at bay. 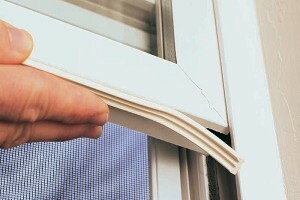 Inspect this weather stripping to see if it’s torn, damaged or needs to be replaced. Proper weather stripping can reduce your energy bills by as much as 30 percent! For a step-by-step guide to cleaning your windows, read: Inspect and Maintain Your Windows. Inspect your exterior doors. For each exterior door, check the weather stripping that runs along the bottom and side of it for any cracks, leaks or wear. Close the door and place your hand along the bottom and sides of it. If you feel a draft coming through, you should replace your weather stripping. For extra insulation, purchase a few draft stoppers, which cost about $5 at your local hardware store. Check your gutters. During the fall and winter, your gutters are filled with leaves, rainfall and sometimes snowmelt, so the clearer they are now, the better you’ll fare come winter. Break out a ladder (always practice proper ladder safety) and remove all dirt and debris from your gutters by hand. 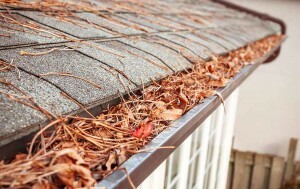 For a step-by-step guide, read: Gutter Cleaning. Clean and store patio furniture. It’s always a good idea to clean your patio furniture before you store it inside for the winter. Different types of patio furniture require different cleaning techniques, so to learn how to properly clean your type of pa tio furniture, read: Clean Your Deck / Patio. Tip: Remove any stains from your furniture cushions before putting the chairs into storage, because if a stain sits on the fabric all winter, it’ll be more difficult to get out. Clean light fixtures and dust ceiling fans. It doesn’t take long for dirt to create a film on your light fixtures and a layer of dust to form on the blades of your ceiling fan. To clean your glass light fixtures, denture tablets are actually one of the most effective products. To remove dust and dirt from your ceiling fans you simply need a ladder, canned air and all-purpose cleaner. Click Here for a complete list and more tips and ideas from our friends at BrightNest.